On Sundays, about 60 people meet in Quaker Worship. There is no programme or leader: anyone may speak if they feel called to do so, but often Meetings for Worship are largely silent. Children come to the start of the Meeting, before joining their own programmes. 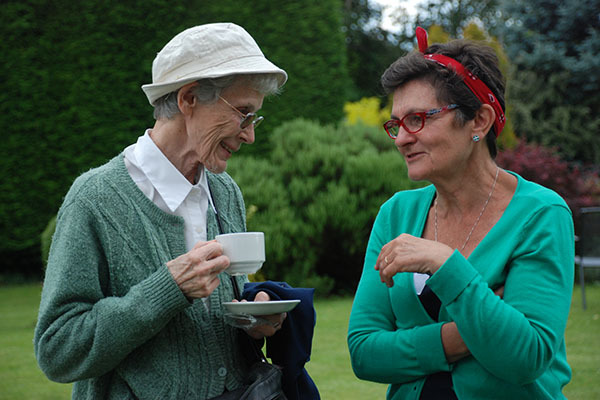 There are hot drinks and a chance to talk to people after the Meeting, sometimes followed by a speaker or discussion. All are welcome. A smaller group meets for Worship each Wednesday lunchtime. Hot drinks are provided afterwards, and you are welcome to bring your lunch. On Fridays, the Quaker chaplain holds a short Meeting for Worship for students and staff at the Reading University Chaplaincy centre. Reading Meeting house has wheelchair access throughout. There is a hearing loop in the main meeting room and an accessible toilet. Location: Church Street is a cul-de-sac with a passageway linking to the A327 London Street. Train: The Meeting House is about 20 minutes’ walk from Reading station. Bus: Numbers 5, 6, 6a, 21 and 21a from the station and town centre all stop in London Street. Parking: There is car parking on London Street (two hours free for blue badge holders and free for all after 20:00). The Oracle and Queens Road car parks are nearby. 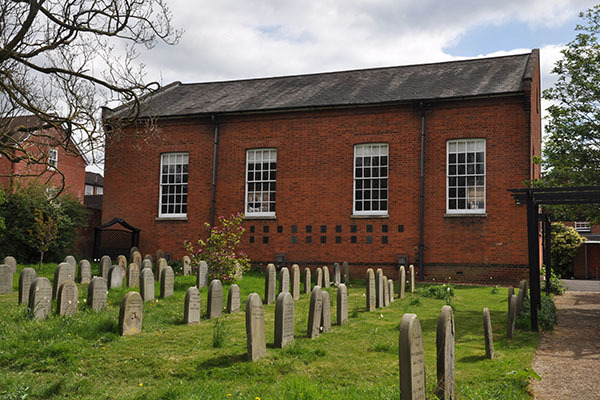 In 2016, a survey was undertaken of the condition and use of all 345 Quaker Meeting houses in England. Findings will soon be made available here. Can we cap global warming at 1.5 degrees? 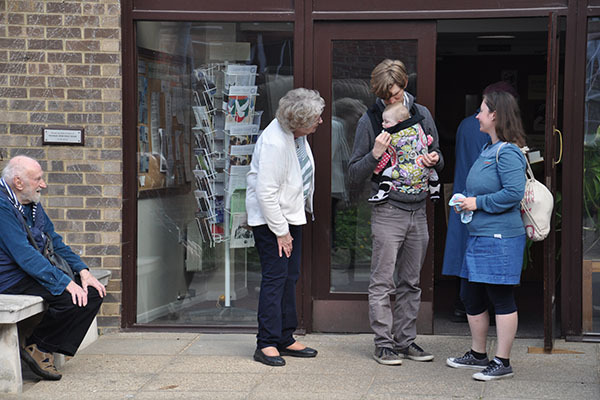 See home page for all Mid Thames Quakers’ events.